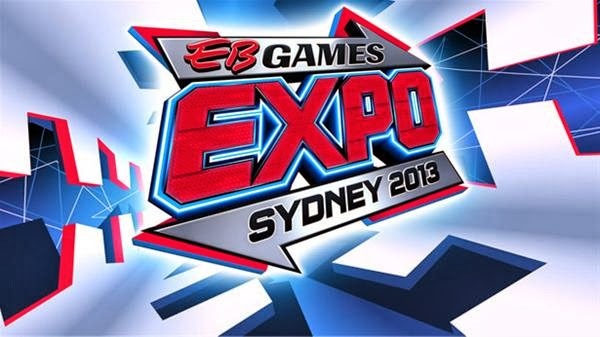 One thing that immediately strikes you upon walking into EB Expo is the massive scale of everything that's on offer. Every one of the booths stretches just as far high as they do wide and many were sporting Ferrari's, Lexus' and even V8 Supercars. Don't forget to click to enlarge each of the images. Surely these pictures won't do the event justice but may assist in giving an idea of just how awesome an event it is. The professionalism (money) that went into this even really made it feel like a car show for geeks. One of the coolest things about the event was the amount of families in attendance with separate areas for kids activities and something for the younger punters. EB Expo is without a doubt the biggest, best and most professional Expo I've ever been to. Can't wait for next year! The Sony presentation was massive and energetic. If I wasn't interested before, inFAMOUS: Second Son now has my attention. I don't even know what this was doing here except housing a wide eyed DJ. Hanabee were in the house representing with their Rooster Teeth swag. The retro gaming garden was awesome but made me feel old. I used to own many of these. This Lexus LFA was constantly flanked by a pseudo grid girl. She was a little upset when I asked her to move for the photo. The EA Sports pavilion had a DJ, Ferrari, games, the lot. These guys were with the Battlefield 4 tank all day. Real troopers. white and green looked awesome. Plus, they had Titanfall. Definitely the game of the show. This photo doesn't do the WB stand justice. It was huge! This was above the urinals. Well played, Ubisoft. Battlefield 4 seemed to get the most attention through the day with lines up to 2 hours long! Preorder Watchdogs at EB and you could win this Toyota 86!